Vienna House Diplomat Prague has been a legend of the Dejvice skyline for nearly 30 years. In the past, the hotel's primary clients were international guests, business travellers, diplomats and congress participants. 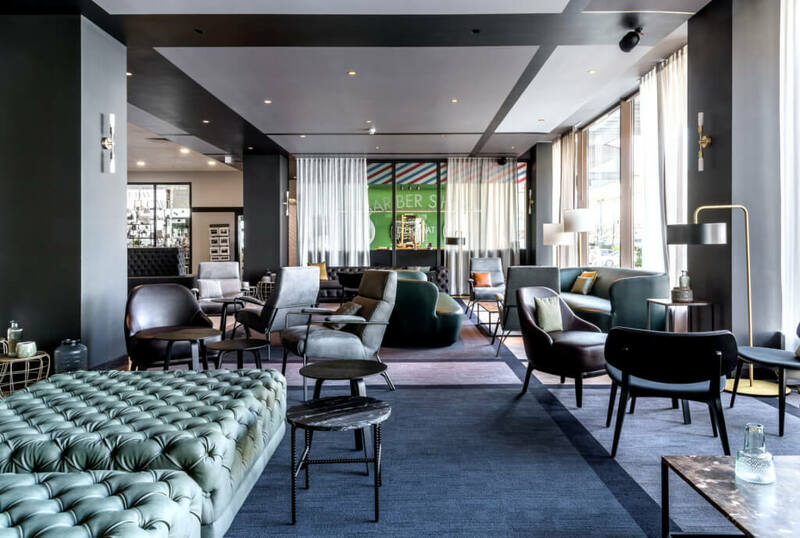 Its renovation reflects the contemporary wishes of both guests and event-goers, but doesn't stop there: the aim of the hotel is to make restaurant, bar and other areas a place of local interest. "We have created a modern environment where everyone can feel good. 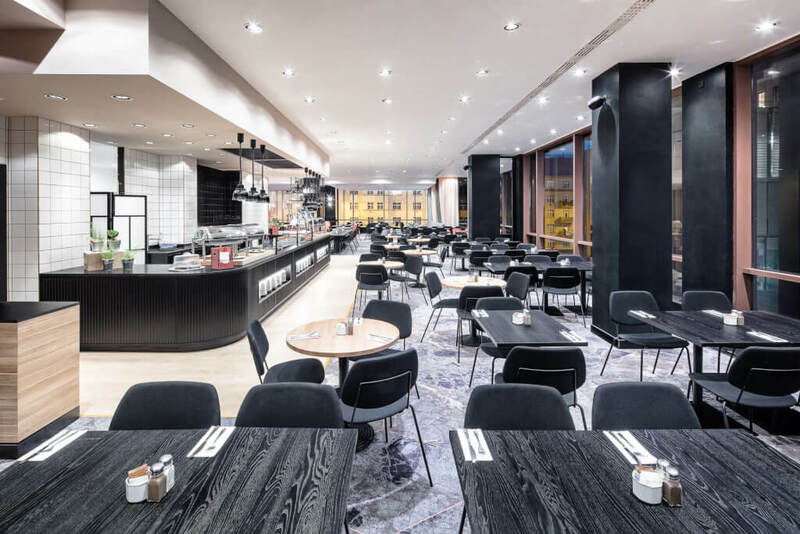 We trust that the restaurant concept will delight both hotel guests and Prague's citizens. 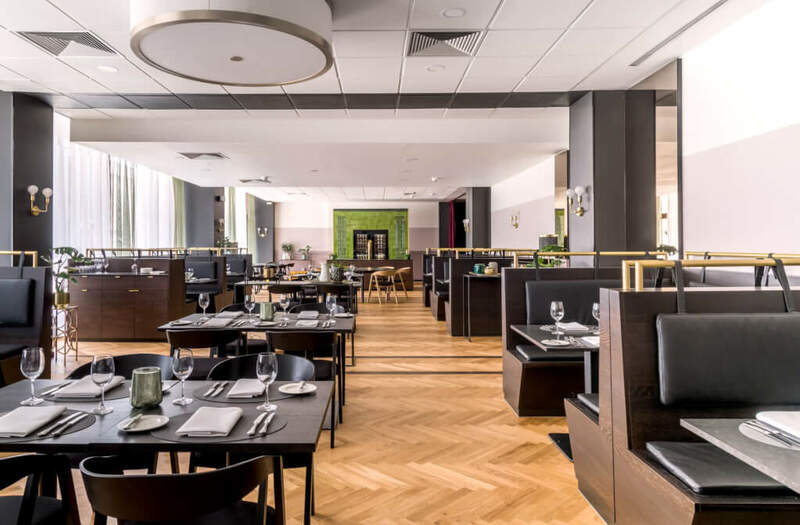 To be more convenient for the local residents, the restaurant and bar has a direct entrance," explains Marek Páleník, General Manager of Vienna House Diplomat Prague, and goes on to say: "As part of the efforts to reach out to the locals, we have also decided to expand the hotel's service range. A fitness and wellness, women's hairdresser, or car rental, which have been in the hotel for some time, is now complemented by a flower shop, a barbershop and a physiotherapist. 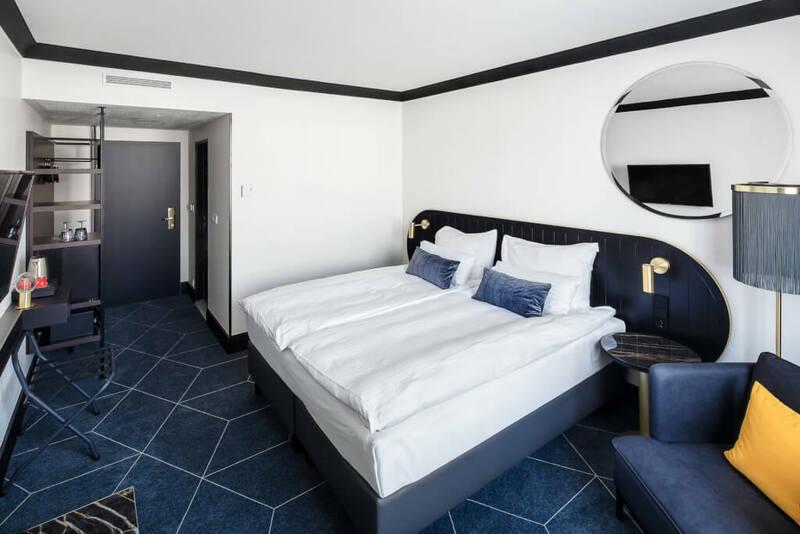 The creators behind the complete refurbishment, the Vienna-based BWM Architekten, followed up on the hotel's rich history tied to its location in the diplomatic district. They preserved the building's spirit while incorporating the latest technologies and cater to the guests' wishes. "We wanted to build on the existing quality of this solidly designed building, to draw on the diplomatic ambience and reinforce it," says Erich Bernard, architect from BWM. "To that end, we have decided to contrast black and white, gold and soft colours, such as peach, coral red and creme." The 23 newly refurbished conference rooms (the largest one accommodates up to 500 people) are now equipped with first-rate audiovisual technology. The Praha meeting room, for example, offers the exclusive possibility of screening a presentation across the entire wall and double projection option. The Loft on 9th floor is an unique place with views of Prague castle and Petrin hill. 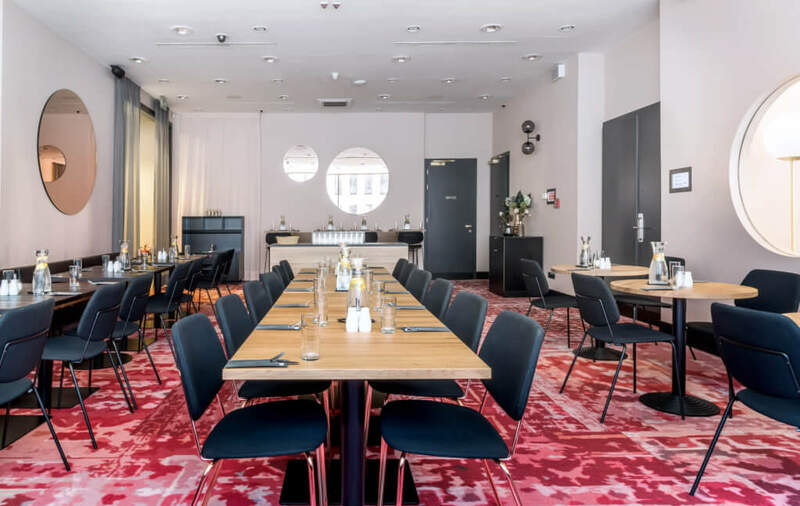 The venue is an excellent unorthodox choice for meetings and teleconferences as well as for birthday parties, bachelor/ette parties and weddings. No conference can, of course, do without delicious refreshments. 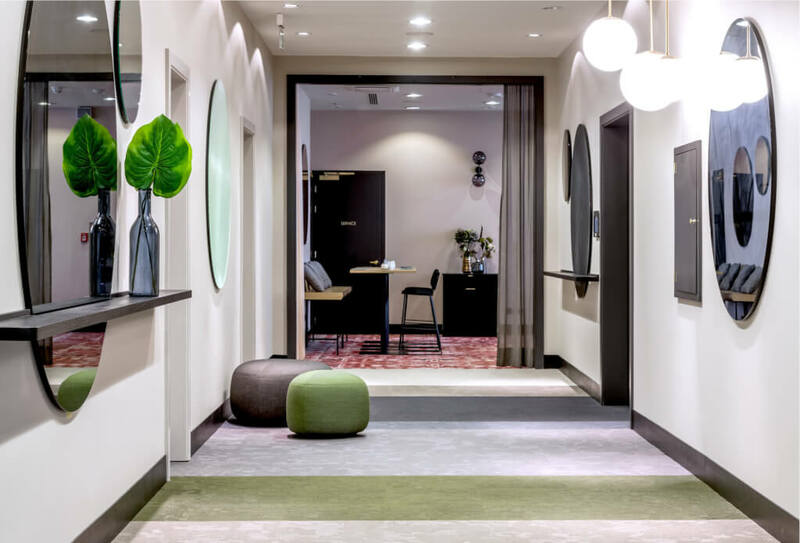 The hotel is ready to meet clients' modern-day wishes, such as zero waste, brain food or fresh & healthy coffee breaks. The revamp has given rise to a new concept for the hotel's restaurants and bar. Loreta, the breakfast restaurant, combines classic materials and elegant black lines with a touch of soft pink – the colour of life, elegance and festive atmosphere, which also has a calming effect and encourages the appetite. The ground floor restaurant is ideal for gatherings not only for locals. It is dominated by earthy colours and green accessories that create the atmosphere of nature. Guests can enjoy delicious Mediterranean cuisine with the best cuts of beef. Vienna House Diplomat Prague will soon celebrate 30 years on the Czech market. In 1990, it was the first hotel in the Austrian hotel group to open. 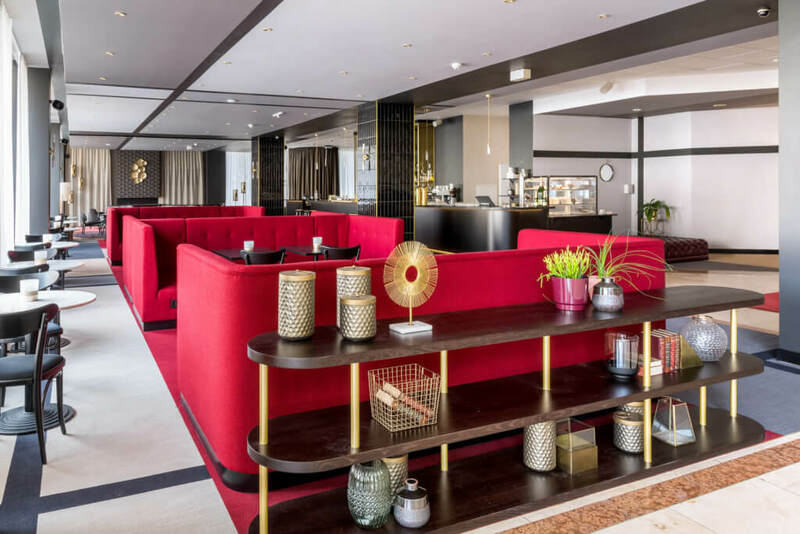 It has always been amongst the best conference hotels in Prague and the Czech Republic, welcoming global celebrities including famous politicians, presidents, sports people and actors. Vienna House Diplomat Prague offers 400 modern rooms, 23 conference rooms, a bar and three restaurants. Throughout their stay, guests can enjoy a range of new technologies, such as free high-speed WiFi, mobile concierge services or a charger for electric cars. As a thank you for their support during the refurbishment, guests will receive 2 + 1 nights for free. The offer is part of the "Legend Reborn" campaign and is valid for online bookings until full capacity is reached.